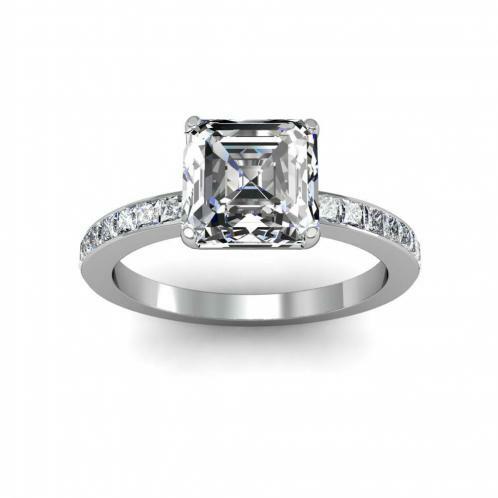 Finesse and elegance emanates itself from this eye-catching diamond engagement ring. This fiery diamond will leave you breathless and asking for more. Either sides consists of channel-set Princess cut natural diamonds which adds classiness and also to provide maximum protection for each stone. This very gorgeous and popular setting is available for 18k White/Yellow Gold and Platinum upgrade for the more particular. 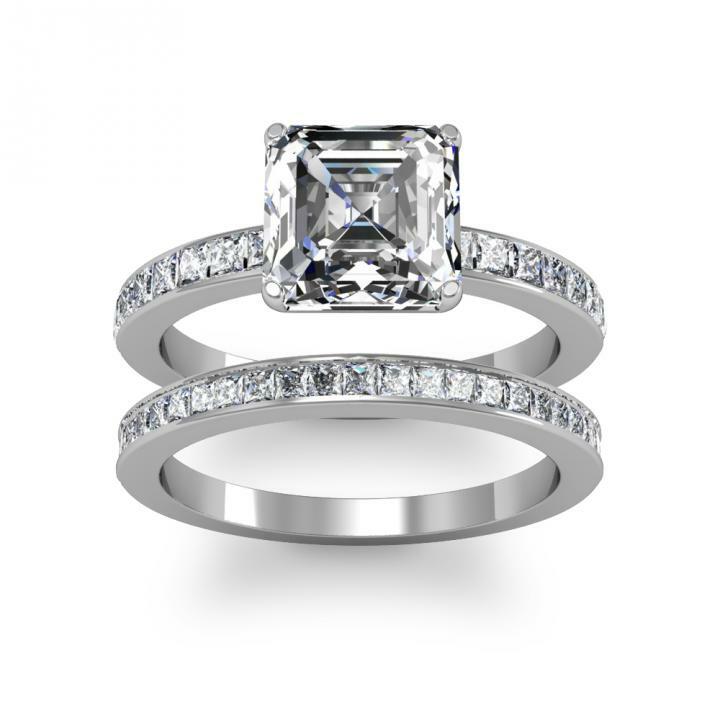 With Diamond Mansion's Rings, You can Walk down the aisle in style!